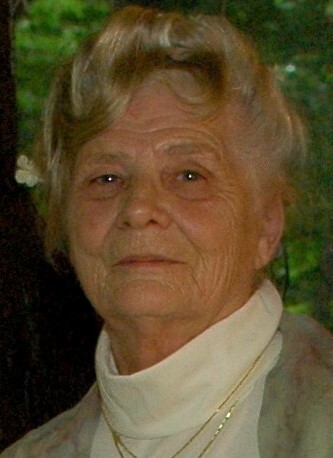 Barbara I. Karkutt, 79, of Williams Township, passed away Tuesday, June 5, 2018 in St. Luke’s Hospice House. Born March 24, 1939 in Kingston, PA, she was a daughter of the late Albert and Virginia (Burton) Fowler. Her husband of 40 years, David P. Miklean, passed away September 2, 2017. Barbara last worked for Superior Consulting. Prior to that, she was employed by Lenox Hill Hospital, Manhattan, as a systems analyst for over 20 years. She graduated from Dunellen High School and attended Rutgers University. Barbara ran for the U.S. Senate in the 1980’s as a Libertarian. She enjoyed gardening. She was a member and former treasurer of the Lehigh Valley Garden Railroaders. Surviving are five children, Deborah L. Michalek-Slinkosky and her husband William, of Holbrook, NY, Diana L. Wasem and her husband Keith, of Laurys Station, PA, David L. Michalek and his wife Diane, of Pensacola, FL, and Darren L. and Dennis L. Michalek, both of Easton; a sister, Nancy Caiazzo, of East Stroudsburg; ten grandchildren and eight great-grandchildren. A memorial service will be held at 4pm Saturday in the Strunk Funeral Home, Inc., 2101 Northampton St., Wilson Borough. Offer online condolences at www.strunkfh.com. In lieu of flowers, memorials may be made to St. Luke’s Hospice, Development Office, 801 Ostrum St., Bethlehem, PA 18015 or Good Shepherd Rehabilitation Hospital, Attn: Development Office, 850 South 5th St., Allentown, PA 18103.